The current releases from Stag’s Hollow Winery at Okanagan Falls include three wines offering excellent value. This winery, which opened in 1996, has a portfolio of about two dozen wines, offered at a range of price points up to $40-$50. That includes one of the best Merlot wines in the Okanagan and a rare example of Grenache. These are wines appealing to collectors. However, proprietor Larry Gerelus and Dwight Sick, his winemaker, are clearly not ignoring the average consumer who just wants a good bottle or two without breaking the bank. The quality and the work that has gone into these three wines certainly would justify a higher price. Start with the Sauvignon Blanc. One can dial in a crisp lemony white with laser beam freshness simply by fermenting it all in stainless steel. Dwight went for more complexity. While 80% was fermented in stainless, the other 28% was fermented slowly, at a cool temperature, in new French oak. (Do you know how expensive French oak is?) Then the wine spent two months on the lees which were stirred once a week. Or take the Riesling. The grapes were harvested in two lots. The first lot was fermented in stainless steel for about 28 days at 15 degrees C; then fermentation was stopped to leave a touch of residual sugar. The second lot was fermented in new 300 litre French hogsheads (do you know how expensive French hogsheads are?). Fermentation of the second lot to total dryness was done with indigenous yeast. The wine was left on the lees for a month, with bi-weekly stirring. Then the lots were combined. And the detail tweaking was not over. Dwight blended three per cent Muscat Ottonel into the final blend. What that adds is a noticeable hint of spice on the finish. It also helps to moderate the bracing acidity. Or the Heritage Block: detailed winemaking went into this Bordeaux blend, including aging the wine 18 months in French and American oak. The five grapes in the blend were sourced from three different vineyards in the south Okanagan. Half the berries were left whole and uncrushed, a technique to capture more fruit but not too much tannin. The bottom line is that the winery has put a lot of work into these three wines but has managed to release them at popular prices. Stag’s Hollow Sauvignon Blanc 2014 ($17.99 for 399 cases). The wine begins with aromas of guava and lime which are echoed in the flavour. The wine has good weight on the palate, the result of fermenting 20% in barrel and stirring the wine on its lees for two months. The lees work has added an herbal complexity to the dry and lingering finish. 90. Stag’s Hollow Riesling 2014 ($17.99 for 849 cases). The bold aromas of lime and pink grapefruit give this wine immediate appeal in the glass. On the palate, there are flavours of lemon, green apple and stone fruit, with a hint of spice from the three per cent Muscat Ottonel blended into this wine. The bracing acidity gives the wine a crisp, dry finish. This wine has great aging potential. I would strongly urge cellaring this for several years so that bottle development fully unlocks all the qualities. 90-92. Stag’s Hollow Heritage Block 2012 ($21.99 for 2,200 cases). This is a blend of 49% Merlot, 37.5% Cabernet Franc, 8.5% Cabernet Sauvignon, 2.5% each of Malbec and Petit Verdot. The wine begins with aromas of black currants, black cherries, vanilla and chocolate. There are flavours of black cherry mingled with savoury hints of sage and cedar on the finish. The tannins are long and ripe. The wine’s 18 months aging in French and American oak have given the wine an accessible texture as well as an ability to age for at least five years. This is excellent value. 90. The number of wineries in Osoyoos increased to six with the opening of Bordertown Vineyards & Estate Winery in May. Bordertown greets visitors to the town with a highway-side wine shop immediately north of the community. The tasting room, with an entrance framed by stone-sheathed pillars, is an attraction that will not fail to draw wine tourists. Bordertown is the latest venture by an energetic agriculture entrepreneur named Mohan Gill. Born in India in 1976, he came to the Okanagan with his parents in 1993. “March 10, 1993,” he says with striking precision. It seems he has never stopped working. He bought his first orchard (with an older brother) in 1996. He took other opportunities to expand until he and his brother today operate 110 acres of orchards in the Okanagan. To accelerate his business, he began delivering his own fruit to Vancouver buyers in 1999 with his pickup truck. He turned over fruit delivery to another agency in 2007 but he still packs cherries, peaches and apples under his own brand. His customers include several major retailers. Mohan dipped his toe into viticulture by planting two acres of grapes in 2005. A quick study, he was comfortable enough with grape growing that he expanded to 20 acres in 2007. As he had done with tree fruits, he has continued to increase his vineyard holdings. He now grows 38 acres of grapes at two Osoyoos vineyards and another 50 acres in a Peachland vineyard. He has been selling grapes both to major Okanagan producers and to smaller producers, including Mark Simpson of B.C. Wine Studio. Mark was one of the people who encouraged Mohan to expand into winemaking. Encouragement also came from Jason Parkes (left), the winemaker at First Estate Winery in Peachland. Consequently, Mohan engaged Jason as his winemaker. In its debut vintage in 2013, Bordertown made close to 3,000 cases of wine. Two-thirds was sold in bulk while 147 cases of Syrah and 586 cases of a Merlot/Cabernet Franc blend are being offered under the Bordertown label. Bordertown’s production jumped to 10,000 cases in 2014, quickly transforming Osoyoos’s newest winery into one of its largest as well. Mohan also continues to sell grapes to other producers. “On this property I am growing five different varieties: Chardonnay, Riesling, Muscat, Gewürztraminer and Viognier and Pinot Gris,” Mohan says, referring to the vineyard near the winery. He also has Merlot, Cabernet Franc, Cabernet Sauvignon, Pinot Gris and a young block of Grüner Veltliner. The Peachland vineyard, a cooler terroir, is planted primarily in white varieties: Chardonnay, Pinot Gris, Pinot Blanc and Riesling. He also grows Pinot Noir there. Jason should have no problem coming up with interesting wines from a selection like that. Here are notes on Bordertown’s initial releases. Bordertown Gewürztraminer 2014 ($18.99). Gold in hue, this is a rich and ripe wine with aromas and flavours of grapefruit. There is also the variety’s classic spicy aroma. The oily texture of the wine reminded me very much of an Alsace Gewürztraminer. 88. Bordertown Pinot Blanc 2014 ($18.99). It is encouraging to see an excellent wine from a variety sometimes overlooked by consumers. The wine has aromas and flavours of apples. It is crisp and fresh on the palate with a dry finish and with good minerality. 90. Bordertown Riesling 2014 ($18.99). This is a relatively light Riesling (alcohol of 11.15%) but it has a nice spine of minerals with aromas and flavours of lemon and lime that are still developing. The finish is dry. Cellar this wine for a year so that the flavours have a chance to emerge fully. 88. Bordertown Living Desert Red 2013 ($24.99). This is a blend of 75% Cabernet Franc and 25% Merlot, aged in American oak. This blend shows the power of Osoyoos reds. It begins with aromas of plum and blackberry mingled with a note of oak. It delivers flavours of black cherry, black currant and vanilla, with a finish that lingers. 90. Bordertown Syrah 2013 ($29.99). Again, the wine is bold and ripe. There are aromas and flavours of black cherries and plum mingled with black pepper and earthiness. 90. In late summer of 2013, a brief but devastating hail storm savaged the Gentleman Farmer Vineyard at SpierHead Winery in East Kelowna. The setback prevented the winery from making either a vineyard-designated Pinot Noir or Riesling from that vineyard in 2013. However, winery proprietor Bill Knutson reacted by sourcing Pinot Noir from a grower in Summerland, just released as the Golden Retreat Vineyard Pinot Noir. Bill also negotiated a long-term contract for these grapes. That is good news for lovers of SpierHead wines since it extends the winery’s admirable Pinot Noir portfolio. The Golden Retreat Vineyard is also the source of Pinot Gris for SpierHead. As a result, the winery’s current releases include two vineyard-designated wines from Golden Retreat along with a Gentleman Farmer Riesling 2014, the latter vineyard having recovered from the previous year’s hail damage. Both are excellent vineyards, judging from the wines. Gentleman Farmer typically produces Riesling with the bracing acidity and the 2014 is no exception. Here are notes three current SpierHead releases. SpierHead Riesling 2014 Gentleman Farmer Vineyard ($19 for 200 cases). With an acidity of 9.2 grams a litre and just 4.3 grams of residual sugar, this is a wine with a crisp and tangy finish. It has aromas and flavours of lime and lemon, with a good spine of minerality. The wine is good now but has great potential to express its rich complexity better if cellared for several years. 88-92. SpierHead Pinot Gris 2014 Golden Retreat Vineyard ($19 for 710 cases). The wine begins with an appealing aroma that mingles hints of herbs with citrus and apple. On the palate, there are flavours of melon and apple. The wine, fermented and aged in stainless steel, has good weight. 90. SpierHead Pinot Noir 2013 Golden Retreat Vineyard ($26 for 60 cases). This is 60% Pommard clone, 40% clone 667. The wine was barrel-aged 10 months in French oak (likely not new, judging from the fact the wine is fruit forward). The wine has aromas of cherries, leading to flavours of cherry and plum, with a hint of mocha. The wine has begun to develop the classic silky texture. That was more noticeable, along with a juicy concentration of flavour, when the wine was retasted the day after it was opened. Like the Riesling, the wine will evolve toward a peak in two or three years. 90. John Simes, the legendary chief winemaker at Mission Hill Family Estates, is turning over the cellar to Darryl Brooker, the currant winemaker at CedarCreek Estate Winery. Darryl becomes Mission Hill’s chief winemaker with the 2015 vintage. John will now devote himself totally to managing the Okanagan vineyards that support Mission Hill and its sister wineries. Mission Hill and the other wineries are operated by VMF Estates, the holding company set up in 2014 by Mission Hill proprietor Anthony von Mandl. The personnel change was announced today by VMF Estates. The VMF wineries in addition to Mission Hill include CedarCreek (purchased in early 2014), Martin’s Lane (under construction near CedarCreek) and CheckMate Artisanal Winery. The latter is the former Antelope Ridge Winery on the Golden Mile, which Von Mandl acquired in 2012. The first CheckMate wines are expected to be released later this year. Darryl Brooker clearly was one of the key assets that came with the purchase of Mission Hill. Born in Canberra in 1973, Darryl (left) is a graduate of Charles Sturt University in Australia. He has a Bachelor of Applied Science - Wine Science, as well as a graduate diploma from Adelaide University in Wine Business. He made wine at Villa Maria Estate in Hawkes Bay and at Mountadam Vineyards in Barossa Valley in Australia. He came to Canada in 2003 when he was hired to launch Flat Rock Cellars in Ontario. He moved to the Andrew Peller group, working at Hillebrand and Thirty Bench, before joining CedarCreek in 2010. He embraces both traditional and new world winemaking practices. He employs wild yeasts; he ferments some wines in concrete eggs. In 2013, CedarCreek became the first Okanagan winery to ferment some reds in a 400-litre clay amphora made in Italy. He was also tasked with designing the new Martin’s Lane Winery, now completing construction. He also made the 2014 vintage for Martin’s Lane, a winery specializing in Pinot Noir and Riesling. He is certainly stepping into big shoes. No winemaker has had as much impact on the Okanagan as John Simes, beginning with the 1992 Chardonnay that won the prestigious Avery’s Trophy at the International Wine & Spirits Competition in London in 1994. It was almost certainly the first major award to an Okanagan wine from an international competition. Born in 1950 at Palmerston North, near Wellington, the capital of New Zealand, John (below) at first put his applied science degree to work with an ice cream company. He joined Montana Wines Ltd., then New Zealand's largest winery, in 1978 and moved quickly from managing the bottle cellars to become a senior winemaker and vineyard manager. In 1991 Mission Hill’s von Mandl began wooing John, whose wife Sheilagh is from Vancouver. The winemaker pondered the offer throughout the first half of 1992, accepting just before the vintage in the Okanagan. He arrived at Mission Hill in September 1992, with some of the early grapes already arriving. "Most of the grapes in the Okanagan are harvested at the end of September and into early October. I had a chance to start to get things changed in the way the fruit was processed in the winery," he told me a few years later. "We totally changed almost everything that happened with the grapes, including when they were picked. I spent a huge amount of time trying to sweet talk the growers into not harvesting, to leave the fruit hanging on the vine." Most of the Chardonnay for the award-winning wine came from vineyards in the Oliver area that have since been acquired by von Mandl. John was impressed as soon as he saw the grapes. "I could tell the fruit was brilliant," he told me. "I called Anthony [von Mandl, Mission Hill's owner] and I said this fruit tastes as good as I've ever seen Chardonnay taste. It cries out for new oak for barrel fermentation." With the immediate green light from von Mandl, John had about 100 American oak barrels shipped to the winery in time to barrel-ferment the Chardonnay. Some of the Chardonnay also was fermented in stainless steel tanks and the two lots were blended into the 1992 Grand Reserve Barrel Select Chardonnay, as the wine was called. The award put the Okanagan on the map. It certainly transformed Mission Hill. "In terms of our company, the impact has been phenomenal," John told me later. "It gave everyone in the organization confidence that we could do it, that the resource existed to make international quality wines, and that if we did, people would pay reasonable dollar values for them that would give us sufficient return to re-invest. Until that wine, the business confidence, from the owner of the company right down to the sales guys, wasn't there." In the year after winning that award, Mission Hill began a $10 million capital expansion program. It included almost one million litres of new stainless steel processing equipment and hundreds of new oak barrels. In 1996 the winery purchased vineyard property, its first, at Osoyoos and began planting 150 acres of vines on a sun-baked site on the Canada-United States border. The winery has invested continually since then, both in vineyards and in state of the art winemaking facilities. The pinnacle of the Mission Hill portfolio is Oculus, the Bordeaux blend that John first created in 1997. It crowns a large and impressive portfolio of wines, many of which are grown on the nearly 1,000 acres of estate-owned vineyards. At a recent tasting of Italian wines in Vancouver, I was directed to a particular producer from Tuscany, having been told his white wines were especially good. It was good advice. The producer, who is not in this market, had a number of outstanding wines, including a very fine Trebbiano, a leading white variety in northern Italy. When I had finished complimenting the producer on the wine, I added that a winery in the Okanagan also grows an excellent Trebbiano. I explained that the Hester Creek vineyard is on an alluvial fan, rich with minerals and traces of old volcanic soil. Next he said that it would be impossible because it rains all the time. He would not have known that there are two mountain ranges between Vancouver’s maritime climate and the dry Okanagan. “The Okanagan,” I replied, “has the same average rainfall as Sicily.” That happens to be 20 inches a year. A few other exchanges followed but I failed to persuade the Tuscan that that Trebbiano does thrive in the only vineyard in the Okanagan that grows it. The irony is that the Trebbiano cuttings were brought from Italy by an immigrant named Joe Busnardo. In 1968 he had begun planting vines on that alluvial fan on what today is the Golden Mile. He also brought various other Italian varieties. Some succeeded, some did not. Joe opened Divino Estate Winery in 1983. When he sold the property in 1996 to move to Vancouver Island, the new owners renamed the winery Hester Creek. Trebbiano was one of the wines made at Divino. Subsequent owners have continued it. In recent vintages, Hester Creek winemaker Robert Summers has really raised the bar with improvements in the viticulture and in the bwinery. It was a matter of great regret that I did not have a bottle handy to persuade, and astonish, the man from Tuscany. As good as his Trebbiano is, Hester Creek’s is a quality match. Here is my note on the wine, as well as a note on a new vintage of the winery’s delicious Cabernet Franc rosé. Neither of these wines is in retail stores. You can get them at the winery or through Hester Creek’s wine club. Some of the Trebbiano is allocated to restaurants. Hester Creek Trebbiano 2014 Old Vines Block 16 ($22.95 for 1,000 cases). This is a luscious white with honeyed aromas of passion fruit and with flavours of peaches, apricots and mangoes. There is a hint of spice (think baked apples) on the lingering finish. The wine has good weight on the palate. 92. Hester Creek Cabernet Franc Rosé 2014 ($19.95 for 1,000 cases). The salmon pink colour and the generous fruit flavours get their start with 12 hours of extraction on the skins. The fermentation was long and cool and was stopped when 10 grams of residual sugar remained. That gives the wine its juicy texture. It has aromas and flavours of strawberry, cherry and rhubarb. 90. When reviewing the Quails’ Gate releases a year ago, I speculated that Nikki Callaway, the winemaker who had joined Quails’ Gate in 2013, was finishing the whites a little drier than her predecessor. I may have belaboured the point. On looking at the specifications for the 2014 wines, I note a few in which the residual sugar is a touch higher than the year before. But I think it is more sensible to conclude that she is just responding to what the vintage has given her. The delicious rosé, for example, has eight grams per litre of residual sugar in 2014 compared with 4.6 grams in 2013. The acidity is similar in both years. The difference surely is too small to be generally noticeable; perhaps the texture might have a little more flesh, if one had the two wines side by side. The wines in the current release are all her wines. 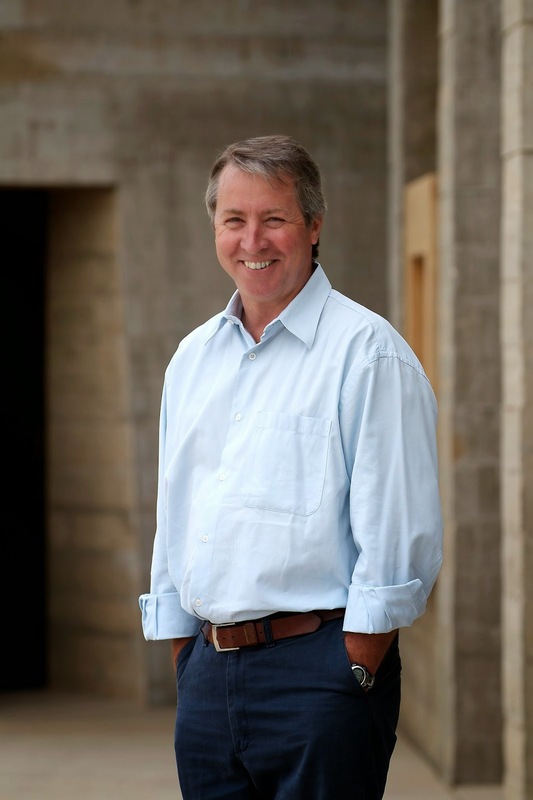 The winemaker change has not interrupted the continuity of Quails’ Gate’s quality. A friend who is a very knowledgeable taster thinks the quality has even risen from the quite high level previously set by her predecessor, Grant Stanley. I am not choosing sides. There is not a single wine made by either that is not excellent. In her report on the vintage, Nikki says that the 2014 harvest was the largest crop Quail’s Gate has ever seen (Quails’ Gate is 26 years old this year). Quails’ Gate Gewürztraminer 2014 ($17.11 for 7,700 cases). This wine begins with appealing aromas of orange and grapefruit rind, with rose petal spice. The touch of residual sweetness lifts the flavours of lychee and grapefruit and gives the wine a juicy texture. This will be a crowd pleaser. The production volume certainly telegraphs the winery’s confidence. 90. Quails’ Gate Dry Riesling 2014 ($17.11 for 2,580 cases). In a Riesling, dry is a matter of balance. This wine has 12.6 grams of residual sugar offset by 8.8 grams of acidity. As a result it tastes crisply dry. However, the sugar lifts the aromas and flavour. There are appealing notes of lime on the nose and on the palate, along with a great backbone of minerality. That results because the vines producing this fruit are 29 years old. The winery suggests that classic Riesling characters, including rich marmalade aromas and flavours, will start to show in two or three years. The wine can be cellared seven to 10 years. 91. Quails’ Gate Chasselas Pinot Blanc Pinot Gris 2014 ($19.18 for 17,500 cases). This is the winery’s most popular wine, with a volume larger than a majority of the Okanagan’s wineries. It is a blend of 39% Chasselas, 33% Pinot Gris and 28% Pinot Blanc. It is a wine with floral and fruity aromas, leading to generous flavours of melon, pear and apple, with just a trace of sweetness on the finish. The balance is such that the finish, which lingers, is basically dry. 90. Quails’ Gate Rose 2014 ($18.14 for 7,975 cases). The astonishing production indicates just how big the demand is for rosé. Quails’ Gate is one of the wineries that has driven this market over the past decade with flavour-packed rosé. This dry rosé is 80% Gamay Noir, 10% Pinot Noir and 10% Pinot Gris, all kept separate during fermentation and then blended. The wine has an appealing salmon pink hue with aromas of strawberry and cranberry. On the palate, this is a big, satisfying bowl of fruit – strawberry, watermelon and pink grapefruit. 90. Quails’ Gate Pinot Noir 2013 ($28.15 for 4,345 cases). This is a silky wine with great intensity of aroma and flavour. It begins with cherry aromas accented with cloves. On the palate, the wine is generous with flavours of cherry mingled with spice and a pleasant earthiness. 91. Quails’ Gate Chardonnay 2013 ($22.17 for 8,960 cases). Half of this wine was fermented in barrel, half in stainless steel tanks. Hence, the winemaker achieved the best of both worlds: the bright fruit aromas and flavours hold centre stage with subtle oak notes adding complexity. The wine begins with aromas of citrus and melon and a hint of cloves. On the palate, there are lively flavours of citrus and pear. Good acidity gives this crisp wine a finish that is bright and refreshing. 90. Quails’ Gate Stewart Family Reserve Pinot Noir 2013 ($45.17 for 2,030 six bottle cases). This rich and full-bodied Pinot Noir is delicious now, with the power and the structure that will support aging it at least until 2020. The winery picked fruit from mature vines (11 to 28 years old). The grapes were chilled in the winery to allow several days of cold-soaking on the skins. Then the wine was allowed to ferment spontaneously. In all, it spent nearly a month on the skins. It was aged 10 months in French oak (50% new). The wine begins with spicy dark cherry aromas, leading to layered flavours of cherry and mocha. The svelte texture has begun to develop the classic silkiness of the variety. The finish is very long. 92-94. 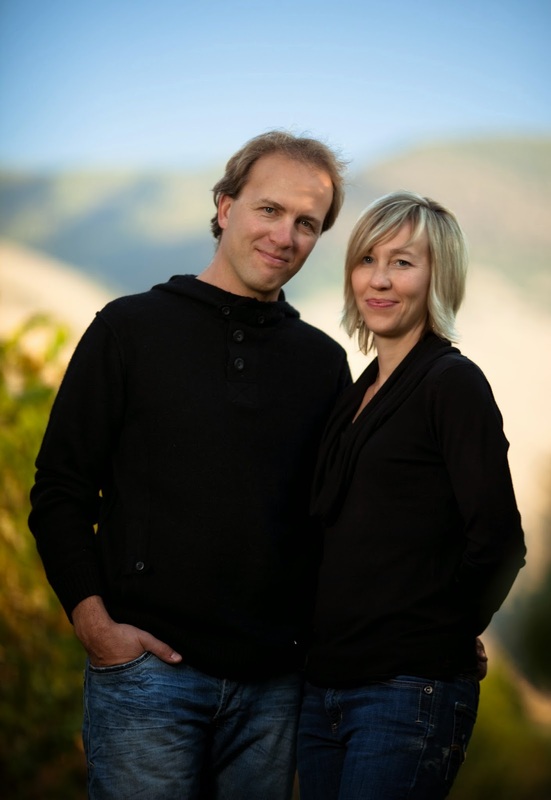 John and Virginia Weber, the owners of Orofino, were wine industry novices when they moved from Saskatchewan in March, 2001, to take over a 4 ½-acre vineyard near Cawston. “We spent the first year on a huge learning curve,” remembers John, a former teacher. Virginia is a nurse. They opened the winery 10 years ago, becoming arguably the most successful winery in the Similkameen. Today, Orofino is producing about 5,000 cases of wine a year. All but one of the wines is from Similkameen vineyards. The portfolio of 14 wines spans an impressive range, including a sparkling wine, single vineyard Rieslings, Chardonnay and Pinot Gris. This spring, the winery has released five reds from 2012, an excellent vintage in the Similkameen and Okanagan valleys. Orofino Pinot Noir Home Vineyard 2012 ($32). Five clones of Pinot Noir are combined in this complex Pinot Noir. It begins with aromas of strawberry and cherry accented by the so-called forest-floor notes prized by aficionados of Pinot Noir. The flavours are rich and toasty, with earthy notes of strawberry and leather. The texture is firm but beginning to evolve toward silkiness. 90. Orofino Red Bridge Red 2012 ($25). The grapes are from a Kaleden vineyard. This is a bold Merlot, beginning with aromas of cassis, black cherry and vanilla. On the palate, there are flavours of black cherry, blueberry, chocolate and vanilla. The latter note and the svelte texture result from aging this wine 20 months, without racking, in French and American oak. 89. Orofino Passion Pit Vineyard Cabernet Sauvignon 2012 ($29). The name recalls the uses of this vineyard when it was still a gravel pit. Now, it grows exemplary Cabernet Sauvignon. It is one of the hottest sites in the Similkameen Valley; this wine has a robust 14.9% alcohol. The colour is dark. Aromas of vanilla, dark fruits including black cherry and sage brood in the glass. The palate shows rich, almost porty, flavours recalling fruit cake. All of this revolves around a bright core of sweet cassis. Twenty months in French and American oak have given this wine a svelte texture. There is a note of cracked black pepper on the finish. A tour de force. 92. Orofino Scout Vineyard Syrah 2012 ($29 for 500 cases). Dark in colour, the wine pulls you in with aromas of black cherries, prune plums, deli spices and white pepper. That leads to a full-bodied red with earthy and gamey flavours supporting spicy black cherry notes wrapped up with pepper. This was aged 20 months in barrel, mostly French. Once again, the wine shows Orofino’s signature polished texture, with a long juicy finish. 91. Orofino Beleza 2012 ($34). This is Orofino’s flagship Bordeaux blend from an excellent, ripe vintage. The alcohol is a robust 14.8%. The wine is a powerhouse of almost port-like fruit that creates a rich, intense mid-palate. It begins with aromas of dark fruits and chocolate, leading to flavours of plum, black cherry and chocolate, with a touch of sage on the finish. The blend is 40% Cabernet Sauvignon, 40% Merlot, 10% Cabernet Franc and 10% Petit Verdot, each aged separately for 20 months in French oak before blending. 92. Wine touring gets better in the Similkameen Valley in a few weeks when Clos du Soleil Winery opens its new tasting room. The winery began selling its wines in 2008 without a wine shop because the production was modest at first. A few years ago, a small tasting room was created in a heritage house (left) that was on the property when it was a honey producer. The house is now gone, replaced by a 4,000 square foot winery which incorporates the new wine shop. Siding boards were salvaged from the heritage building for use in the wine shop. Clos du Soleil was founded by a small group of Francophile wine lovers headed by Vancouver businessman Spencer Massie, a retired Canadian Navy officer. In 2007 the group bought a 10-acre property in the Similkameen Valley and planted Bordeaux varietals on nine of those acres. Ann Sperling, a Kelowna native who had gone to high school with Spencer, agreed to make Clos wines in her Sperling Vineyards winery. Clos du Soleil, which produced closed to 5,000 cases in 2014, has now outgrown the Sperling facilities. That was one reason for the construction of a new winery on the Similkameen vineyard. While Ann remains as a consultant, Michael took over making the wine in 2013 after investing in the Clos du Soleil partnership[ the year before. He comes with impressive credentials, including training from the University of California in Davis. Born in Cambridge, Ontario, in 1972, he grew up in a lawyer’s home. His father had a wine cellar and classified growth Bordeaux wines were often on the Clark table. “Wine had been my number one passion literally before I could drink wine,” Michael says. He was about 10 years old when he read the George Bain’s Champagne is for Breakfast, still one of the best and funniest wine books by a Canadian author. “I don’t know other children who loved to read wine books,” Michael laughs. Initially, he carved out a career in finance, armed with a bachelor’s and master’s degree in theoretical physics followed by master of business administration from the University of British Columbia. He worked with the Royal Bank before moving to Boston and then Geneva. There he managed portfolios with a hedge fund and then with a bank. “Eight or nine years ago, I made a commitment to move into winemaking full time,” he says. He studied enology and viticulture at L’Ecole de Changins, a Swiss engineering institute. He did several vintages in Bordeaux and also worked with a Swiss winery. He took the UCDavis distance learning program to get a winemaking certificate. Rigorous also describes his approach at Clos du Soleil. Organic and biodynamic practices apply in the vineyard. The winery has been designed and equipped to make premium wines. He continues: “I can give you some examples. The vineyard management is getting better over time, both ours and the growers we work with. We get to know the soils better; we get to know the vines better. The vines are getting older and we are getting better fruit. So every year, whether it is tweaks to the pruning system; tweaks to any fertilization we do; whether it is continuing to build on the usage of the biodynamic system on our own property – all of that. Every year it has been going up. Four current releases from Clos du Soleil exemplify his art as a winemaker. Clos du Soleil Fumé Blanc 2014 ($19.90 for 432 cases). This is 85% Sauvignon Blanc, 15% Sémillon. It begins with vibrant aromas of lime and lemon, leading to rich flavours of lime and grapefruit. There are subtle notes of herbs and oak, barely noticeable in the explosion of tropical fruit flavours. 92. Clos du Soleil Pinot Blanc 2014 “Grower’s Series” ($19.90 for 500 cases). The term, Grower’s Series, indicates wines made from grapes grown on non-estate vineyards. This wine begins with appealing aromas of nectarines and ripe Ambrosia apples. On the palate, there are spicy flavours of pear and apple. Good acidity gives this wine a fresh and tangy finish. 91. Clos du Soleil Rosé 2014 ($19.90 for 867 cases). This is a rare and delicious example of a Cabernet Sauvignon rosé. The appeal begins with the colour, which glows like ruby. The wine has powerful aromas of strawberry and raspberry. On the palate, there are intense flavours of strawberry, cherry and rhubarb. The endless finish is crisp and dry. 92.